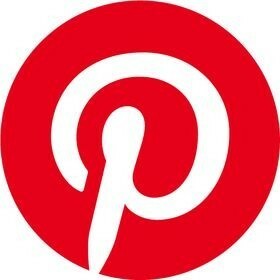 I would need to do a lot of cleaning and fixing for my concrete garage floor to accept paint or epoxy Even then, the epoxy requires expert application to stick. 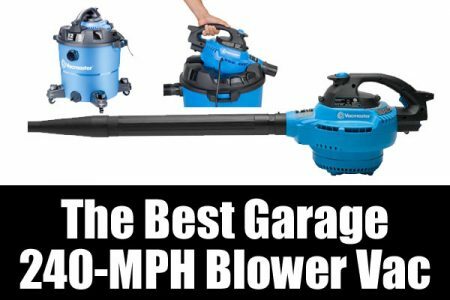 I want to cover my garage floor, but I don’t want all of that work. I could hire a professional to epoxy the floor. Should I do that? What are my floor covering options? 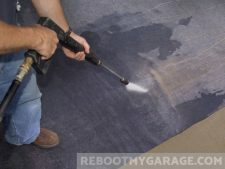 So how can I cover my garage floor if I’m not using paint or epoxy? I can put down snow containment mats or simple rubber-backed floor mats. I can install interlocking floor tiles. 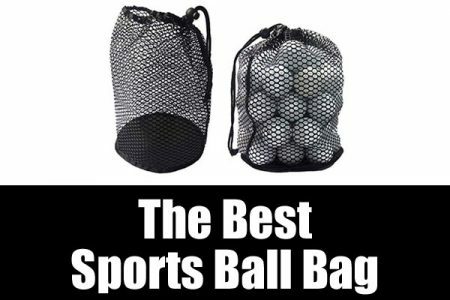 They come in polypropylene (hard) and polyvinyl chloride (not “soft,” but softer than poly). One used to be able to put down vinyl composite tile (VCT) but I spoke to Johnsonite/Tarkett Floors, they said not to use VCT on a garage floor. 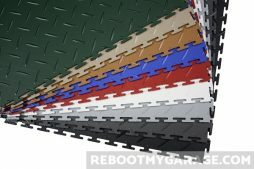 Which Floor Covering for My Garage? After researching this article, I’m leaning toward putting down snow containment mats, with an eye toward then installing PVC interlocking tiles. Once the tiles are down, I’ll still use the containment mats on top of the tiles. PVC tiles look amazing. Floor preparation to install them involves a reasonable (not crazy) amount of cleanup. The PVC tiles don’t have noise issues the way polypropylene tiles do, and they’re durable. Floor mats are usually made of vinyl or a woven, carpet-like fabric. 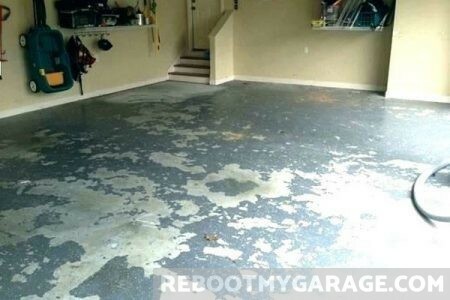 They cover only part of the garage floor. Mats need almost no preparation work, but they do need cleaning after use. Containment mats protect the concrete floor from snow and ice, but they’re not super strong. Polypropylene interlocking tiles look amazing but are very loud to walk on. VCTs (vinyl composition tiles) are not recommended for garages. 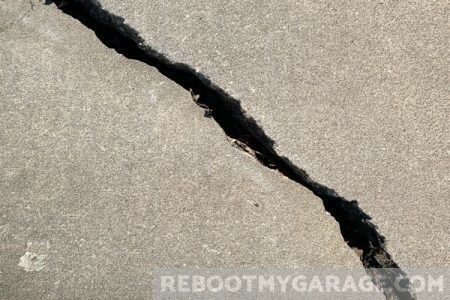 Manufacturers will not honor VCT warranties if the tiles are installed in garages. Besides, although vinyl tiles look great, they require a ton of preparation and cleaning to install. Then they require a ton more work to maintain. 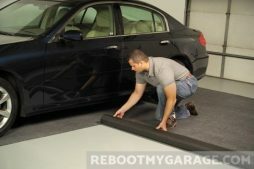 Garage floor mats don’t cover the entire garage floor and they’re not there for looks. They hold onto the snow and rain on your car so that it doesn’t fall onto the concrete floor. Garage floor mats cover only part of the garage floor. They make sense if you’re only concerned about the area under the cars. During the winter, our cars can get covered in snow and de-icing agents. When we park in the garage, this stuff melts onto the garage floor. That opens possibilities of pitting and spalling. 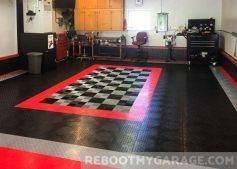 Garage mats help to prevent floor problems. 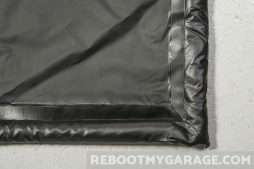 If you live in a snowy or rainy area, you might enjoy a garage floor containment mat. 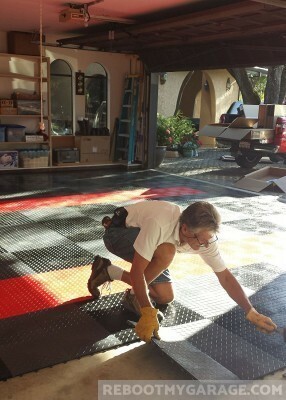 You can put a containment mat on the original floor, or on top of a new tile floor. A containment mat is like a kiddie pool for the snow and rain falling off of your car. They have raised sides to hold in the liquid and slush. When you drive into the garage, your front and back tires will drive over the front lip. The mat lip is similar to a pool noodle speed bump. They don’t cover the entire garage floor and they’re not there for looks. They hold onto the snow and rain on your car so that it doesn’t fall onto the cement floor. The mat protects the floor from the moisture. So you will need to push broom or wet-vac the puddles off the mats. Warranties aren’t spectacular at around 1 year limited. In general, PVC fabric is resistant to moisture, sun fade and garage chemicals. Use a containment mat for water management, not for strength and durability. They’re not strong like plastic tiles. In fact, some won’t hold up to studded snow tires. Containment mats have no noise factor beyond the sound of a little bit of fabric rustling on a very quiet day. You do not need any tools to lay out a containment mat. Containment mats are usually made of PVC fabric. 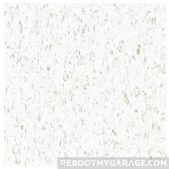 The quieter plastic garage floor tiles are also made of PVC. 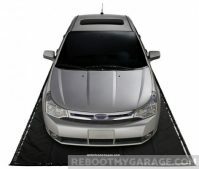 Put the containment mat on the floor where you park the car, inside the garage. Some owners might find that their mats move a little. One good solution is double-sided carpet tape around the outside edges. If the floor is very dirty, the tape might not stick. Containment mats are car mats. 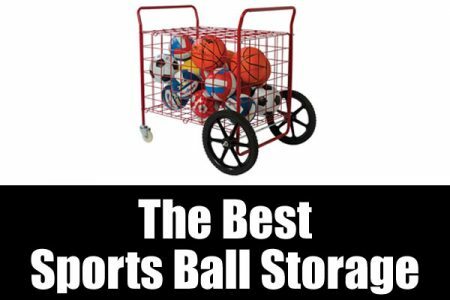 They will hold at least a snow-covered SUV worth of weight. Clean the floor before laying out the mat. You can get away with not cleaning the floor first, if it’s not too dirty. Containment mats have no cushioning or springs. They don’t have anti-fatigue properties. Push the snow over the front mat lip. The broom and snow will push the mat out of the way. The mat edge recovers right away. 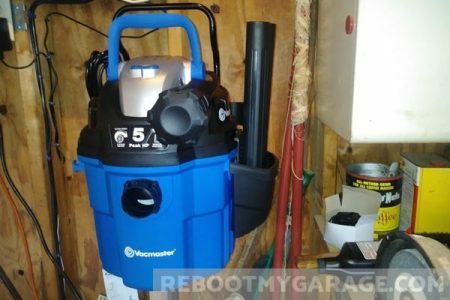 You can also use a wet/dry vac to clean up the water and snow. Or, if the slush is not too heavy, you can also pick up the mat and unload it outside. Containment mats cost between $130 and $140, which works out to around $1.15 to $1.40 per square foot. Floor mat warranties run from about 60 days to three years long. 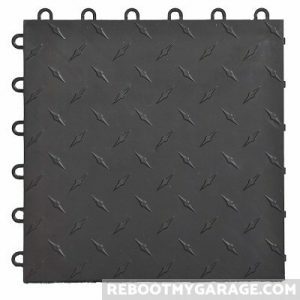 Some garage floor mats are made of heavy duty vinyl. They have plastic sides. Some are polyester carpets. The carpets absorb rather than contain liquids. 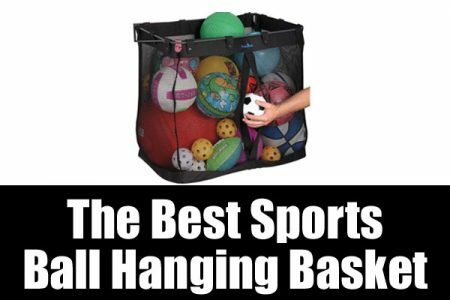 Look for a PVC waterproof backing. PVC will waterproof the bottom of the mat. Vinyl mats have a slight fabric noise. Carpet mats are pretty quiet. 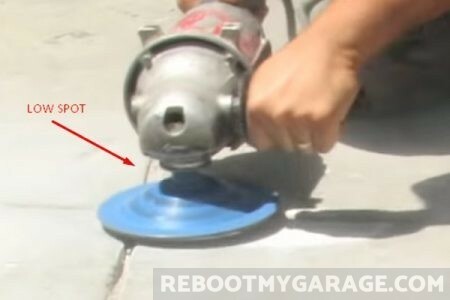 You do not need tools to use a garage floor mat. You might sweep or vacuum the floor before using the mat. 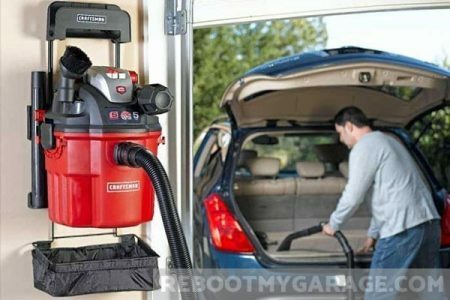 You do not need any extra materials to make garage floor mats work well. Place the mat under where you park the cars in the garage. Most mats handle any vehicle’s weight. Some mats cannot stand up to a very hot tire making a quick turn. The rubber comes off onto the mat. You should sweep and clean the floor before using double-sided tape. If you are not using tape, you can put the mat onto a dusty floor. Some garage floor mats give a little bounce and give. You can push-broom or wet-vac a wet parking mat. Carpet mats will contain a lot of wet crud. Hit them with a soapy pressure washer bath, then rinse. Floor mats run from between $75 and $200, which averages out to about $1.04 to $1.34 per square foot. Polypropylene tiles are very hard. They are partially hollow underneath. Thus, these tiles can make a lot of noise when you walk on them. Plastic garage floor interlocking tiles can be spectacular looking. Plastic tiles have long warranties and good chemical, water and stain resistance. Two of the most popular plastic tile materials are polypropylene and PVC. 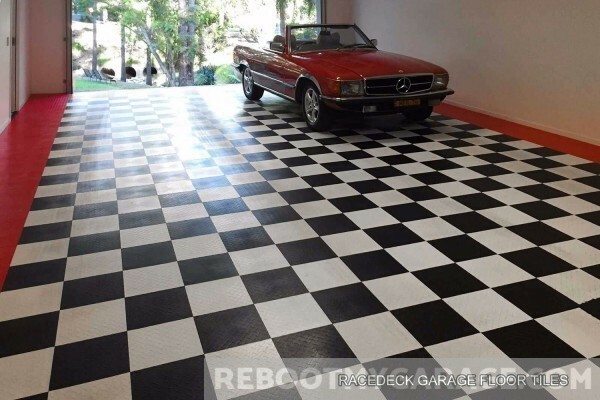 Polypropylene garage floor tiles are one of the most popular garage floor covering options. Polypropylene is a very hard, durable plastic. 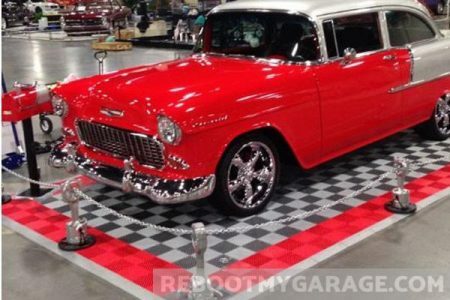 Many RaceDeck garage floors are “copolymers,” which are a form of polypropylene. Polypropylene garage floors are easy to clean, extremely strong, and look like a NASCAR showroom. Tiles made from polypropylene have 10 to 20 year warranties. The tiles are not unbreakable, but they’re very strong. Only part of the bottom part of the tile reaches the floor. The rest is hollow. It’s a slight misnomer, but this is why they’re called “floating” floors. Only the ribs touch the garage floor. All polypropylene tiles are very hard. They are partially hollow underneath. Thus, these tiles can make a lot of noise when you walk on them. If you’re the kind of person who likes a really thick, quiet carpet, you won’t like poly tile noise. Most manufacturers say that their tiles require no tools to install. That’s mostly true, in that there are no trowels, brooms and brushes as you’d need with an epoxy floor. In practice, you need a cutting tool and a mallet to install poly tile. You can use a utility knife, a tile cutter (with water), a power saw or a table saw. Most people use a rubber mallet to flatten the tile joints. You can also just step on all of the cracks to flatten the tiles. A rubber underlayment will help soften some of the plastic tile’s noise. Please follow manufacturer’s installation instructions. 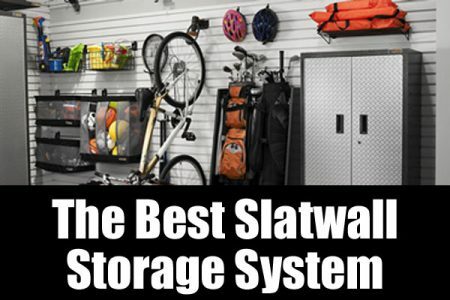 This article is not about any specific garage floor tile installation method. 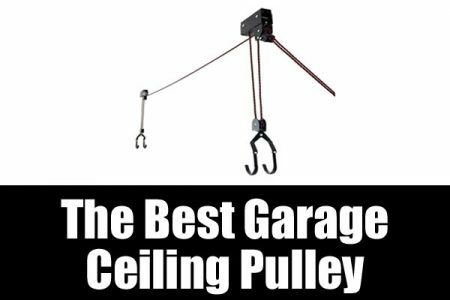 Polypropylene garage tiles usually snap together using a hook and loop scheme. Usually the female loops stick out from two sides, and the male pegs stick out from the bottom of two sides. The pegs insert into the loops. 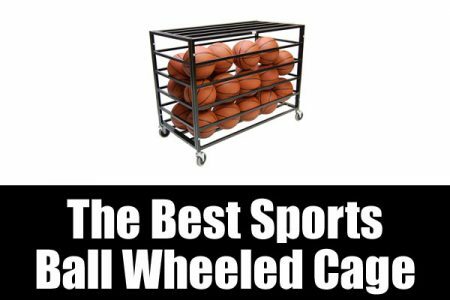 You can hit them with a rubber mallet, or step on them, to make them lie flat. Start the poly tile installation at the front of the garage. Place the male (flat side with pegs underneath) side facing out of the garage door. Angle it so that the other male side is facing to your left. The two female sides would then land facing the back and right side of the garage. 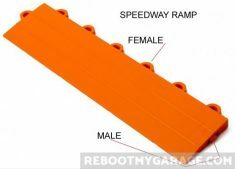 Most polypropylene models include ramps. These are slightly angled plastic pieces. Place the ramps at the front of the garage to smooth out the entrance. 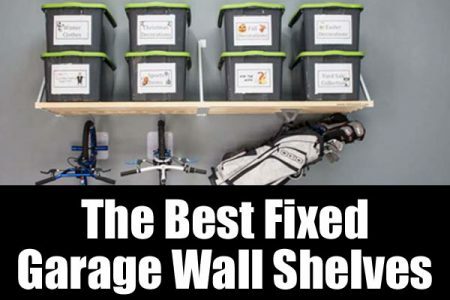 You do not need adhesive, glue or tape when installing polypropylene garage tiles. Polypropylene tiles tend to be resistant to stains, moisture and garage chemicals. Most resist fading in the sun. Polypropylene tiles withstand extreme temperatures. PVC, rubber and wood expand more than polypropylene. Polypropylene tiles can hold a ridiculous amount of weight. I’ve seen ratings such as 3,000 lb. per tile, and 80,000 lb. per installation. That’s if the weight is spread out. If the weight is concentrated in one spot, poly tiles will yield. Motorcycle kickstands and car jacks can leave lasting impressions in the plastic ribs. Manufacturers usually recommend putting plywood under kickstands and floor jacks. 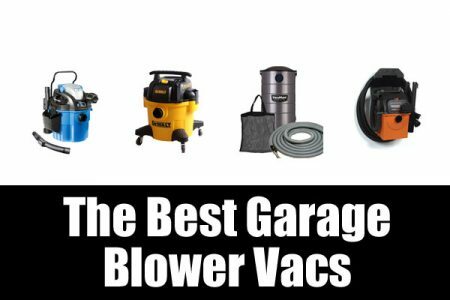 Clean the garage floor to your liking. A polypropylene floor will install well so long as the floor is relatively free of debris. It would bother me to install over a dirty floor. But technically, it’s not a problem for these tiles. Being very hard, polypropylene tiles have no anti-fatigue properties. They don’t smush in a bit when you stand on them, so they don’t lessen the pressure on your joints. 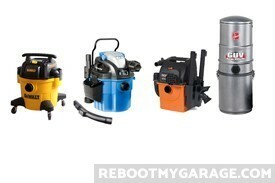 Vacuum and mop poly garage tiles. You can use a mild detergent. Some manufacturers suggest using Purple Power or Oil Eater. Polypropylene garage tiles cost about $2 to $3 per square foot. PVC garage tiles are slightly softer than polypropylene. They are more flexible. They’re quieter when you walk on them, a tiny bit harder to clean, but they’re just as strong as polypropylene tiles. PVC tile warranties are on the long side at 10 to 25 years long. PVC tiles sit directly on the garage floor. The entire bottom of the PVC tile sits on the garage floor. PVC garage tiles are thinner than polypropylene tiles. PVC tiles are solid and hollow. PVC tiles are much quieter than polypropylene tiles. This is the biggest difference between PVC and polypropylene tiles. PVC is quiet when you walk on it. It’s not a padded carpet — it’s still plastic. But it’s a reasonable plastic noise, not an echo chamber. Most manufacturers claim that you don’t need tools to install PVC tile. In practice, you’ll want a rubber mallet and a utility knife. 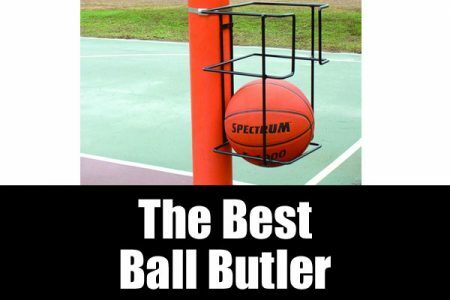 PVC is the softer plastic. You can cut it with a sharp knife. Use the rubber mallet to encourage the pieces to lie flat. Or walk on the joints to flatten them. If your garage floor has moisture issues, apply a concrete sealer before installing tiles. Water buildup under PVC tiles can encourage mold. 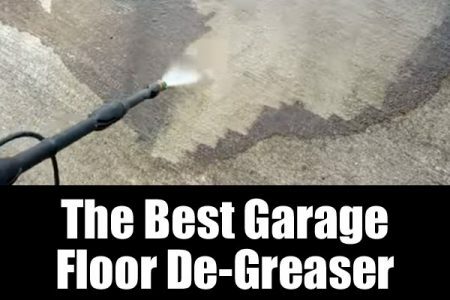 Use a sealer on “weepy” garage floors. Consider using a sealer if the floor is flat. You want the floor under PVC tiles to drain. Please follow manufacturer’s instructions. 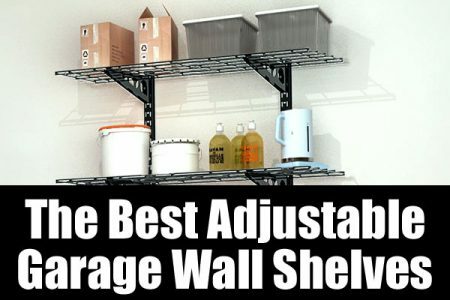 This article is not about any specific garage floor tile installation method. Start PVC tile installation a couple of feet from a wall. Install the edges at the end of the installation process. PVC expands and contracts. Leave a gap between the tile edge and the walls. If your PVC tile installation moves, apply some pressure-sensitive tape to the perimeter. Not all installations have movement. Only those that do would require some extra help. 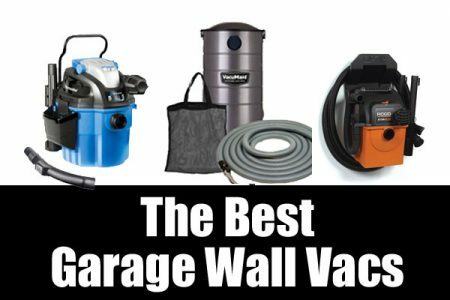 PVC garage tiles are not as good as polypropylene tiles at repelling dirt, chemicals and tire stains. A hot tire spinning out on a PVC tile might melt all over that tire. That’s an extreme situation and not likely to happen. 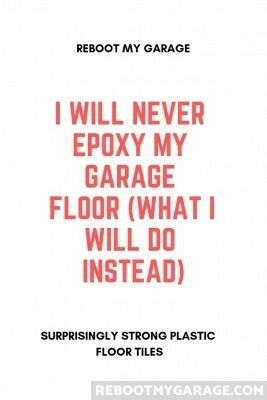 But there’s more chance of it happening with PVC than with polypropylene garage tiles. Street tar stains will probably come up with a cleaner-degreaser such as Purple Power or Oil Eater. The tire might melt onto the tile. You’ll find it easier to replace these tiles than to clean them. PVC has enormous load capacity. I’ve seen weight ratings of 80,000 lbs. If you drop something heavy on PVC, the tile might respond with a dimple that eventually heals. 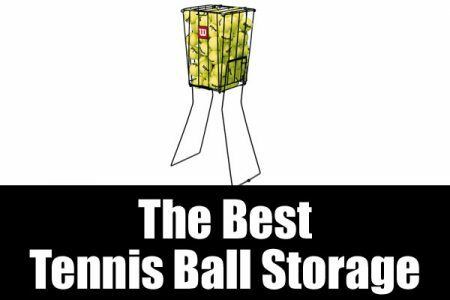 The material will give way and bounce back as it has some built-in flexibility. It’s OK to install PVC on floors with a slight grade or small cracks. But be aware that the entire bottom of the PVC tile sits on the garage floor. Cleaning the floor is important. Crud won’t escape the tile’s flat bottom. 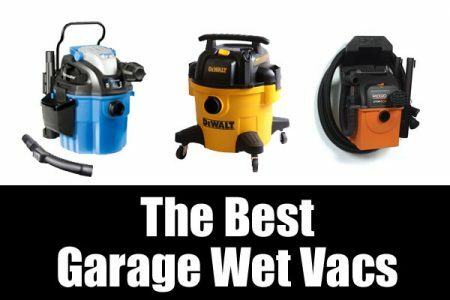 Allow the garage floor to dry before installing the PVC tile. 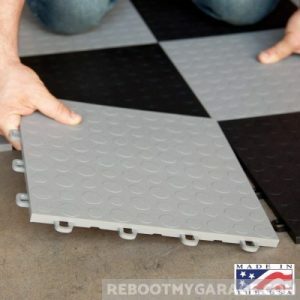 You can install PVC tiles on less than perfect garage floors. If really hard surfaces bother your joints, PVC is a better choice than polypropylene. PVC is not an anti-fatigue material, but it is more flexible than polypropylene tiles. PVC is more forgiving and bouncy. Cleaning PVC tile is easy. You can sweep or vacuum the dirt from the tiles. Then wash the tiles with a mop and soapy water. PVC responds well to warm water and mild detergents. 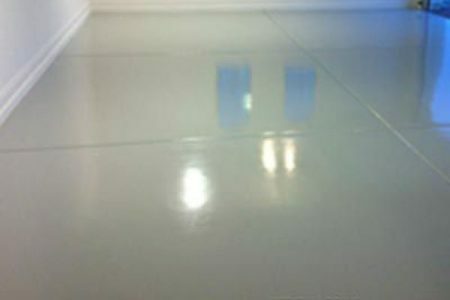 Treat scuffs with a high gloss vinyl floor polish like Armstrong Shinekeeper. PVC interlocking tile costs between $4.50 and $7.50 per square foot. 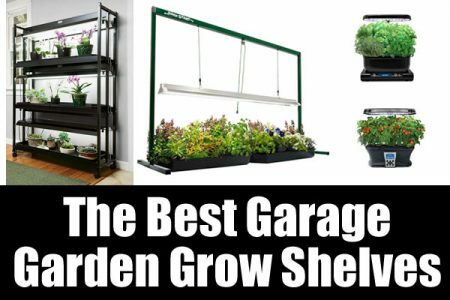 I can’t find any manufacturers who will warranty VCT for garage installations. Not Johnsonite, not Tarkett, not Armstrong. 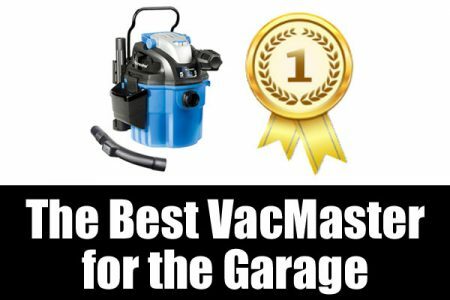 If you install VCT in your garage, don’t expect the manufacturer to honor the tile warranty. 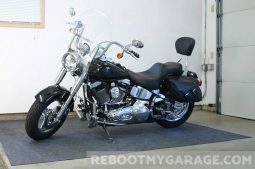 VCT garage floor tiles are cheap. In exchange for this low price, you have a lot more work. 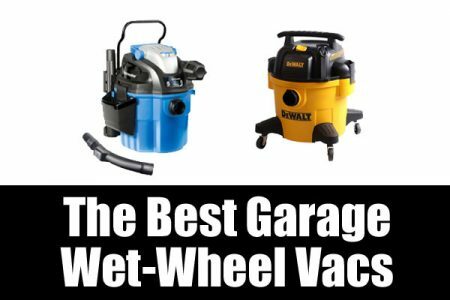 Before installing VCT (Vinyl Composition Tile), clean the garage floor. Repair any cracks. Don’t install VCT on cracks or floors that are not flat. After installation, wax and buff the floor. Repeat every 6 months to 1 year. And don’t spill gasoline on VCT. Dealers will sell you VCT. 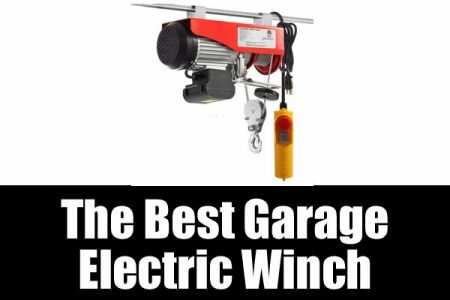 It’s up to you to check on the garage installation warranty. VCT are solid, thin and flexible. 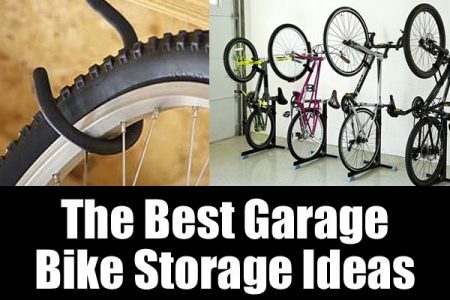 They don’t move around because you glue them to the garage floor. VCT is very quiet. It has a rubbery give to it. Some vinyl tiles can be a little squeaky. 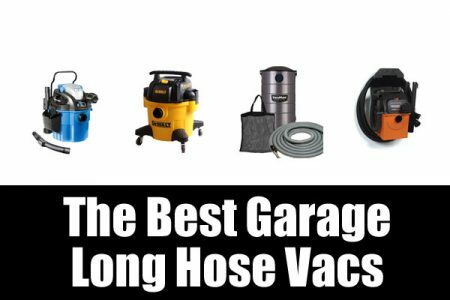 You might need to smooth garage floor rough areas with a concrete grinder. 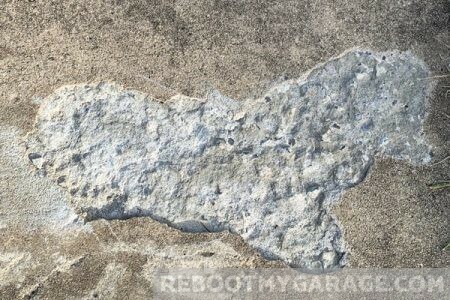 Use a trowel to apply concrete repair mix or concrete topping. Flatten the tile with a vinyl roller. You’ll need adhesive for non-self-stick VCT. The instructions will tell you what kind of glue to get. VCT installation starts at the garage door and works backwards. Spread glue within a reachable area, wait for it to dry, and then lay the tile on the glue. Roll the vinyl with a vinyl roller. The manufacturer will recommend the appropriate VCT glue. Unwaxed VCT is not resistant to much. Once waxed and buffed, VCT is resistant to chemicals and water. However gasoline and solvents will ruin the VCT fabric right through the wax. VCT is resistant to salt. Probably owing to the fact that manufacturers don’t warranty VCT in garages, I was unable to find VCT load capacities. Plenty of people have used VCT in their garage and parked cars on it. Just imagine parking a car on a vinyl kitchen floor. It’s like that. VCT will fail if the floor is not perfectly clean and free of oil. 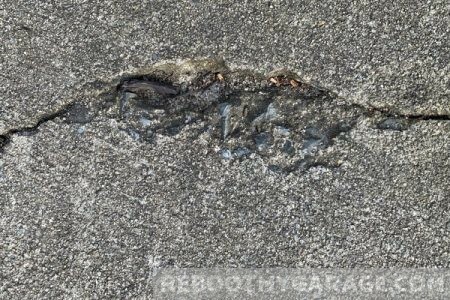 Use crack filling compound on cracks, concrete repair mix or crack filler on contraction joints, and concrete topping on pitting. 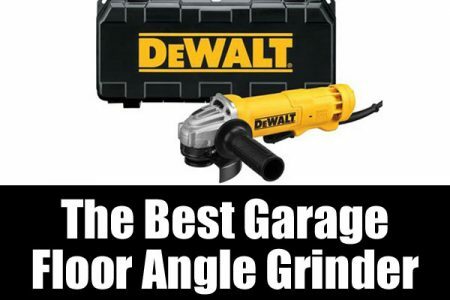 Grind down rough spots with a masonry grinder. VCT is somewhat softer than plastic tiles but less soft than rubber. Clean VCT with a broom and then a mop with soapy water. VCT has to be re-waxed and buffed. VCT interlocking floor tiles cost between $0.66 and $1.05 per square foot. 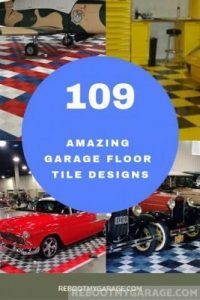 I want a garage floor covering that looks good, doesn’t require a ton of preparation, and doesn’t require more than a mop and vacuum to clean. I definitely would not use polypropylene tiles because I don’t like the noise they make. VCT are completely out as they require way too much preparation and upkeep. At this point in the research, I see myself getting a PVC interlocking tile floor with two containment mats on top. The PVC tile is the strongest option that doesn’t make a racket when you walk on it. In the winter, we usually wipe off the snow off of the cars before pulling into the garage. PVC tiles are moisture resistant, not waterproof. I’m putting the containment mats on top of the tiles. A containment mat on top of the PVC tile will keep the snow from melting all over the floor, and save us the hassle of wiping the cars while it’s snowing. I’ll be digging into PVC tile brands, and adding to this article if I find more floor covering solutions.